You can get Microsoft Office on your iPad or iPhone - and you don't even have to pay. We explain how to view and edit Word, Excel & Powerpoint documents in iOS. Wondering if you can get Word, Excel and PowerPoint on your iPad (or even iPhone)? The answer is yes! In this article we will discuss how to install the Microsoft Office apps on an iPad, including how you can get then for free (and whether you should), and how to use Word, PowerPoint and Excel on your iPad. When Microsoft first unveiled versions of its Office apps for Mac and iOS devices, these apps were quite limited, with the iPad version offering some editing features, but only to Office 365 subscribers, and the iPhone version read-only. But these days most iPad and iPhone users can access and edit Word, Excel and PowerPoint documents on their phones and tablets without requiring Office 365. Find out how you can use the Office apps on your iPad without a Office 365 subscription below. Read on for more information about how to get Office apps on your iPhone and iPad, and how to make the most of their features. For related advice, see our Office for Mac buying guide, as well as Which is the best iPad spreadsheet app? The Microsoft Office apps are free to download from the App Store - Word, Excel, PowerPoint and Outlook - to any iPhone or iPad user running iOS 11 or later - Microsoft says that they will always support the two most current versions of iOS. If you run a search in the App Store rather than using the links above, make sure you get versions with Microsoft Corporation listed as the developer. You can edit, view and print documents, presentations and spreadsheets in these apps for free, but to do so you will need to sign in. Luckily it is possible to sign up for free, so you just need to create a Microsoft ID by logging on with your email address and password, you don't need to have an Office 360 subscription. The form isn't overly complicated, although Microsoft does require a birth date and requests a telephone number. Don't worry, you won't be signed up to Office 365 and you can opt out of receiving marketing material. You will need to register for this free account if you want to be able to edit documents. If all you want to do is read documents you can just tap Sign In Later and then View for Free. The problem arrises if you have an iPad Pro, because Microsoft only offers Word, Excel and PowerPoint (and Outlook) for free on devices that are less than 10.1in. Which basically rules out any iPad Pro (unless you have one of the older models with a 9.7in display). We have an article that discusses how to get Office on iPad Pro for free here. Because of this you need to have a subscription to Office 360 if you want to use the Office apps on an iPad Pro. 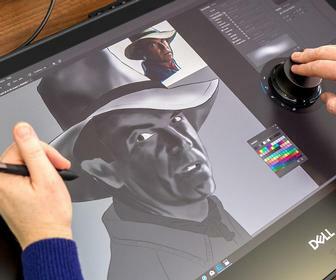 Microsoft seems to believe that the iPad Pro is only a professional device. Of course if you are using your copies of Word, Excel and Powerpoint for professional, or commercial, reasons then you should legally have an Office 365 subscription regardless of the device you are using. If you are only using Word on your iPad Pro to write letters to your great aunt then you may be disappointed, but in that case we'd suggest that Pages might be a better solution for you. Should I buy a subscription to Office 365? Like we said above, you can get Office on your iPad or iPhone for free without needing to sign up for Office 365. 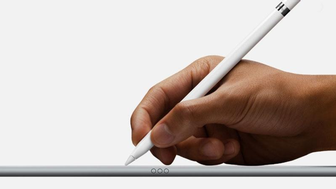 However, if you have an iPad Pro, or you are going to be using the apps for commercial purposes (e.g. work), then you should get an Office 365 subsctiption. With Office 365 you get premium versions of Office applications: Word, Excel, PowerPoint and Outlook - including advanced change tracking, the removal of limits on the ways you can use paragraph styles, and advanced chart, table, and picture formatting tools. Plus you get 1TB of online storage per person with OneDrive (without a subscription to Office 365 you only get 5GB). Users can also open existing documents stored on their OneDrive or any other SharePoint location. A yearly Office 365 subscription starts at £59.99 in the UK (or £5.99 per month), and at $69.99 in the US (or $6.99 per month). Click here for full details of the extra features unlocked with a 365 subscription. Depending on the subscription you could get the Office apps for your Mac too. You also get 60 minutes of free Skype calls each month, and OneDrive cloud storage capacity for up to five users. Do I need Word, Excel and PowerPoint on the iPad? You may find you don't need to use the Office apps on your iPad. Apple offers its own alternative that will open and save documents, spreadsheets and presentations that are compatible with the Microsoft Office apps. Apple's office suite, sometimes referred to as iWork, includes Pages (word processing), Numbers (spreadsheets), and Keynote (presentations). iWork is comes for free with the purchase of an Apple iPad or iPhone. You can download the latest versions here: Pages, Keynote, Numbers. Office for iOS integrates with a user's OneDrive (previously known as SkyDrive) account, so users can create a document in the Office and then revise it on their iPad while commuting. The document will maintain its formatting even if the mobile version doesn't support that particular feature. However, the documents you have stored in OneDrive must be downloaded to your iPad before you can work on them - they are synced dynamically to the Microsoft Cloud at intervals. You can also create and save documents on your iPad without saving them to OneDrive - handy if you're offline. However, it appears that it's not possible to move documents from OneDrive to your iPad if you want to work offline. You can collaborate on documents, editing them at the same time as colleagues - you need to tap a share button in the upper left of the toolbar to invite others to access the document. Note that it doesn't update in real time, though, so you may refresh and find a paragraph you were working on has moved. With Word for iOS you get substantial document creation and editing tools - as with the other iOS Office apps, you can now edit documents in the app regardless of whether you have a paid Office 365 account. Previously, without an Office 365 subscription, you had read-only access to docs. Creating documents? Presuming that you only want standard text formatting, including selecting and changing a document's paragraph formatting or adding and making basic changes to tables, the free version will work perfectly for you. Using Word for iOS on the iPhone suffers from the limitations of the screen size, but Microsoft has made some tweaks to the interface to make it easier to use on the iPhone, for example, streamlining the 'Ribbon' (the toolbar you're used to using in every Office application) to maximise screen space while editing text. There's also a 'Reflow' button that resizes the text, wipes away unnecessary document elements, and floats tools above the text. This allows you to focus on the text you're editing. If you work in a business environment you may find that there are some limitations. The features that require an Office 365 subscription include some of the more in-depth layout and formatting tools, page orientation changes, additions or reductions to columns and page sections, Word Art, custom text colours, adding reflections or other image editing options, advanced table and chart editing, and change tracking. Note that is change tracking is already turned on for a document, any changes you make will be tracked, even if you don't have all the features of a subscription account - you just can't accept or reject changes. If you're likely to be accessing files stored in OneDrive or Dropbox for Business accounts, or on your own private Microsoft SharePoint, you'll have to have a paid account. If you sign up for a free OneDrive account you can use the app for storing and accessing documents. Luckily Microsoft has added Dropbox integration, which means you're able to add your Dropbox account to Word and open any Word documents you have stored there. You also get the option to simultaneously edit documents with others, with files stored in OneDrive or in your Dropbox able to be opened and edited at the same time. Read more about Word for iOS here. Excel for iOS can be used to create spreadsheets, as long as you register for a Microsoft ID. Once you have logged into your account you will have almost all the features that Office 365 subscribers have. Creating, modifying, saving and printing: all worked well in the free version. There is also Dropbox support, so you don't need to use Microsoft OneDrive. One you've logged in to your Dropbox account, you will see a list of Places you can save and open things. You can then open, modify, and save any spreadsheets in DropBox. We'd like to see iCloud Drive here too. The features only open to Office 365 users include: customising pivot table styles and layouts (you can't create pivot tables in Excel for iOS anyway); add custom colours to shapes; insert and edit WordArt; add shadows and reflection styles to pictures; and add or modify chart elements. Premium features are available with an Office 365 Personal account (one computer, one tablet, one phone) for £5.99/$6.99 per month, or Office 365 Home (up to five of each device type) for £7.99/$9.99 per month. You'll also get one terabyte of OneDrive storage, which can be used both in Excel and as a general cloud storage drive. Unless you're creating and editing graphs in Excel for iOS, you'll probably find that the free version meets your needs. There is no difference between the iPad and iPhone app - but we have to admit that using Excel on the iPad is a much better experience due to the bigger screen. The iPhone screen really is too small for all but the most basic of editing. We'd use it in an emergency, but if we were crafting a document or making significant edits we'd be reaching for the iPad. For example, there's no room for the ribbon on the iPhone's screen; to call up the ribbon, you have to tap the Edit icon, which opens an edit area that takes up about a third of the screen, and then tap another pop-up to select, for instance, Formulas, and then scroll through the formula browser. On the iPad, the ribbon is always visible, and choosing a ribbon item only loses one line of the display. As well as creating and editing spreadsheets you can also print. This feature works well and was introduced prior to the November update. There are still a few things you can't do in Excel for iOS, you can see and delete comments but not create or edit them; you can't name cells or ranges, create conditional formatting rules, or enter array formulas. You also can't insert images from OneDrive (or Dropbox) either, only from the iOS device's photos. And Excel is a one-thing-at-a-time app - that means if you're working with two or more spreadsheets, you will have to fully close one to open the other one. Find out more about Excel for iOS here. Just like Word and Excel for iOS, PowerPoint no longer requires a subscription to edit presentations. There are a few other improvements on the previous version: you can add and edit animations; can crop images; and use a Presenter View; audio and video now play correctly; and you can add video (though not standalone audio) from your iOS device. If you have an Office 365 subscription you get access to premium features including Presenter View; adding custom colours to shapes; adding and editing WordArt; applying reflections and shadows to graphics; adding and editing chart elements; and adjusting the shading of table cells, rows, and columns. It's no match for the desktop version of PowerPoint. For example, you have limited control over transitions; and you can't create new themes, add SmartArt, or see your slides in Outline view. On an iPad, you can see comments added on a Mac or PC, but not edit them or add new comments; comments are entirely absent on the iPhone. As with the other apps, Dropbox file storage is an alternative to Microsoft's own OneDrive.